"Outside the firewall [searching] is used to make money, and inside to save money." Within 130 pages this books covers everything from installation, adminstration GUI, examples to start (importing documents, first searches, etc.) and the quick overview to the fundamental configuration files. 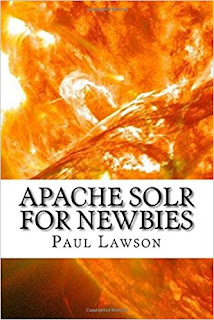 If you are interested in Apache SOLR and you do not know where to start: this book is the answer. But one thing is missing: The book only covers searching XML documents. On page 42 (!) it is pointed out, that you have to configure SOLR cell. I think this was a good decision, because deep dives should be done after an introduction.